The cost of fraud to Britain rose above £1billion for the first time in five years in 2016, driven in part by a huge surge in cyber crime. 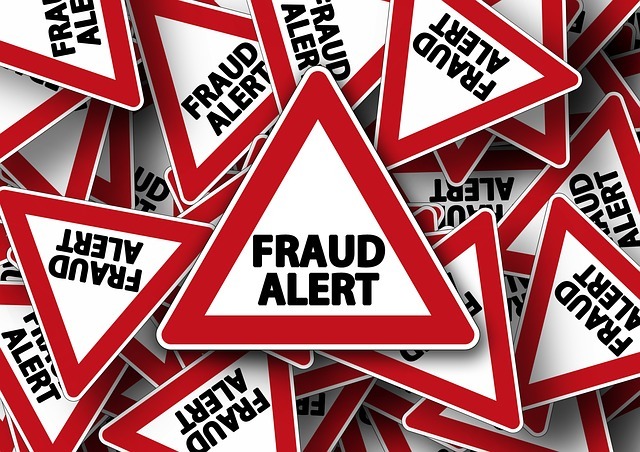 The total value of fraud in Britain soared 55% to £1.14 billion last year, despite the number of cases dropping by nearly a third from 310 to 220, KPMG’s Fraud Barometer showed. KPMG – which measured cases in UK courts with losses of £100,000 or more – said this was due to a rise in “super cases” worth more than £50million, while the value of the average fraud case doubled to £5.2million from £2.4million. The barometer also highlighted a 1,266% jump in cyber fraud which reached £124 million in 2016. Back up information using the cloud and check that internet security software and apps are up to date and switched on. Always shred or destroy documents that contain personal information before throwing them away. Never respond to cold phone calls or emails asking for account details, PINs, passwords or personal information. Don’t give too much away on networking websites. For example, pet or children’s names could be used as passwords. Register to vote at your current address. If you do not, thieves could use your previous address details to open new credit accounts – and run up debts in your name. Monitor your post regularly so you know when to expect important documents – and when to act if they do not arrive. Redirect your mail if you move house. Always use secure, unique passwords for as many online accounts as possible, and ideally all of them. At the very least have a unique password for each type of service provider such as financial services, retail services and email. Don’t store account names and passwords on your smartphone, either in email, as a note, or to “autocomplete” when you open a website or app. This information could be used by a fraudster if your device is lost or stolen. Read all bank and card statements regularly to check for suspicious transactions. Your credit report will list your credit accounts and what you owe, so you can spot applications and spending that are nothing to do with you.